The Canadian Task Force on Preventative Health Care (CTFPHC) released its HCV Screening Guidelines today in the Canadian Medical Association Journal on Monday. To the dismay of experts across Canada including hepatitis C specialists, advocacy groups, and stakeholders, the new screening guidelines ignore expert advice regarding who should be tested for Hep C, setting a dangerous public health policy where dollars come first and the health of Canadians comes last. The guidelines make the recommendation to continue screening those with known risk factors, but does not include a recommendation to screen those born between 1945-1975 despite this age cohort representing the largest burden of the disease. Following the release, liver experts have been quick to denounce the guidelines, noting that the bulk of expert advice offered during the review of the guidelines was ignored. “How the task force could look at the data and conclude that we should not be screening and we should simply stick to our old paradigm of screening high-risk individuals is really disconcerting,” writes Dr. Jordan Feld, a hepatologist with the Toronto General Hospital Research Institute. “We know that does not work. It has failed in every country in which it has been attempted and every disease in which it has been implemented.” Many doctors are uncomfortable discussing risk factors for hepatitis C, such as drug use and people maybe unwilling to disclose given the stigma, leading to missed opportunities for screening. Age cohort screening eliminates these issues. The AHC was involved in the literature review process for the writing of these guidelines throughout most of 2016, and submitted evidence to support age cohort testing in this country multiple times, as did leading hepatologists. Our recommendations were ignored, and so we asked NOT to have our name listed as a reviewer. In fact, we sent a letter to the Task Force, outlining these concerns and disappointments with the final version of the guidelines. AHC does not support the guidelines as they stand, along with a growing number of advocates and medical experts. In the absence of leadership on this issue from the CTFPHC, Action Hepatitis Canada continues to encourage everyone in Canada who was born between 1945-1975 to ask their doctor for a one-time test for hepatitis C, as this is an evidence-based approach that will ultimately save lives. Jennifer van Gennip is the Communications and Project Coordinator for Action Hepatitis Canada. 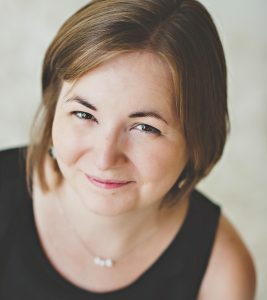 She lives in Barrie, ON and specializes in advocacy communications for non-profits. If they would go with generic epclusa and generic Harvoni many could be treated. I am from the U.S. and have no insurance. I was able to join a clinical trial in Australia (FixHepC) and medications were $1600 for 3 months. An additional 3 months for $1000 because of my genotype.. I did 4 months of therapy. for this price. The price in the U.S. for brand name was $90,000 for 3 months. Spend money wisely and let people get treated. There is no reason everyone cannot get treated for this price. Yet many governments spend $50,000, etc for one individual treatment. In U.S they pay $90,000. Why aren’t governments going with generics! They are the same composition. I am undetected after 4 months treatment. I have seen hundreds cured for $1000.00 Yet companies make deals with BigPharma and everyone else has to suffer. This is not right. Where are the people who care about people and their health?